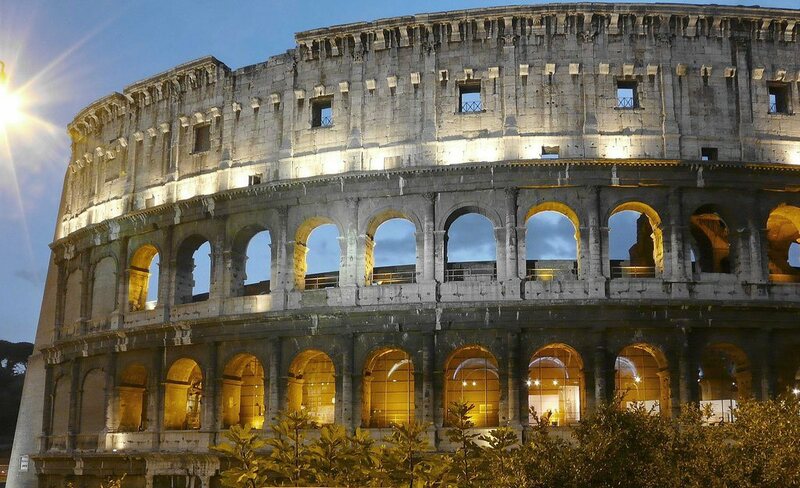 Coliseum in Rome. CC2.0 photo by Vlad. So giddy–I didn’t know he even felt that way! Thrusting brusquely past our janitor to get to me. My shy smile grew wide; inside I soared like a kite. But in his penthouse my hair was ruffled under Sinatra’s soothing sound. He moved the years of imaginary employee’s flowers to pass me a key. Inched to open his envelope. Although my heart-wrenching wanderlust burst at the seams! I was distracted by the window framing his car. Nuzzling my neck, he pressed the key into my palm. I glared at the Marilyn Monroe in his Maserati, centering my raging calm.